These athletes have played with and against one another. They know the teams they will face at the Whites' and are coming because they can depend on the Ice. Team Fowler is a regular to the Whites and has qualified more than once. Third Allan Lyburn has taken home the big winnings more than once. 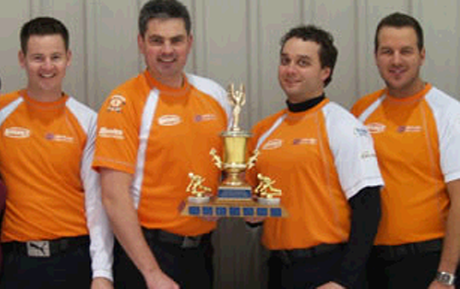 Bronze at the 2012 Brier. Shooting for the stars. Team Fowler always brings a cheering section. Welcome back Brandonites.